Education and transparency is of the utmost importance to us. It has been a proud tradition of ours since our founding in 1963. This openness between doctor and patient ensures sound medical advice and understanding of treatments. Choosing the right doctor to handle your vein and vascular issues is an important decision. These days it seems everyone from podiatrists to cardiologists to radiologists are offering various treatments. As vascular doctors, we know we are most qualified to treat the full spectrum of vein and vascular issues. It is our core focus and specialty—we do nothing else but treat the vessels of the vascular system. When contemplating treatment, we believe there are 5 important questions to ask. An ethical well-trained doctor will welcome your questions and should answer YES to questions 1, 2 and 3, but NO to 4 and 5. #1. Are you Board Certified in Vascular Surgery, Interventional Radiology, Interventional Cardiology? #2. Do you have hospital privileges in one of the 3 specialties listed in question #1? #3. 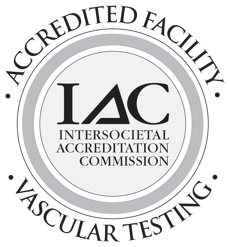 Is your Vascular Lab (the place where the Doppler ultrasound of your legs is performed) certified by the IAC (Intersocietal Accreditation Commission)? #4. Do you recommend that I have 4, 5, or 6 separate LASER vein ablations on my varicose veins? #5. Do you recommend that I have an ablation procedure for my spider veins? 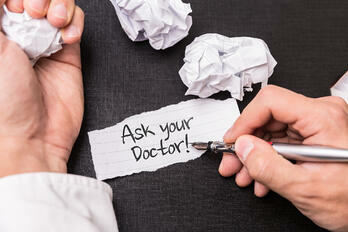 If your doctor does not respond appropriately to these questions, you need a second opinion. To get one, contact us. We would be happy to consult with you. 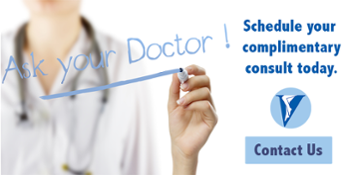 Our consult services are an important part of our medical services and treatment processes. For over 50 years, our vein specialists have been treating patients for a variety of vein diseases. We have the top-rated vein treatment centers and most experienced vein specialists in New Jersey. Schedule a complimentary consult today and experience the professional and personal care you deserve.